An AWIPS image of Suomi NPP VIIRS 0.7 Âµm Day/Night Band data (above) revealed a bright band of the aurora borealis that stretched from northern North Dakota and Minnesota into Quebec at 07:12 UTC (2:12 AM Central time) on 02 October 2013. This aurora display was caused by a coronal mass ejection from the Sun on 30 September. 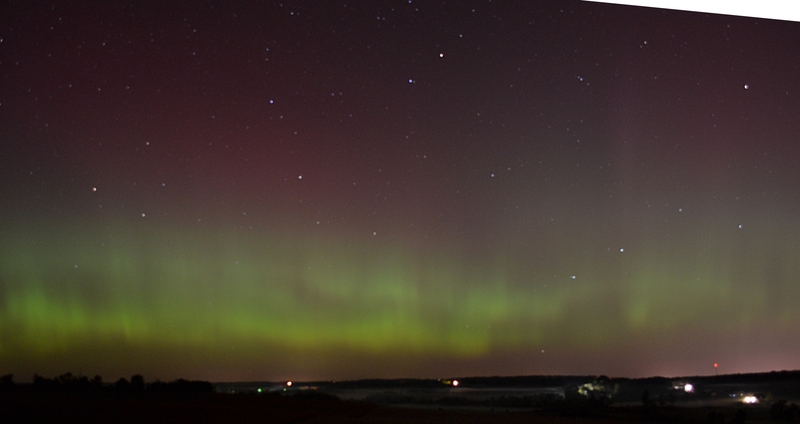 The aurora borealis was faintly visible on a YouTube video (below; courtesy of Pete Pokrandt, UW-AOS) created using 10-second black and white images from the north-facing UW-SSEC/AOS rooftop camera. 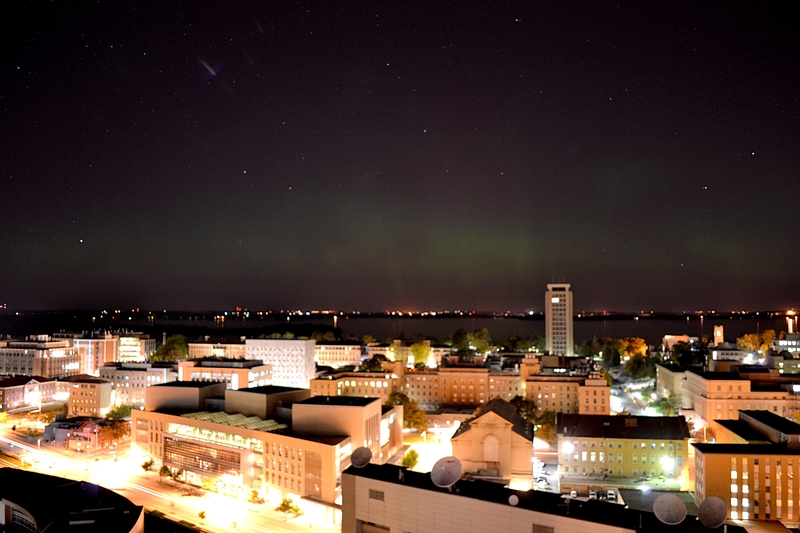 A higher-quality digital camera photo taken from the roof of the UW-SSEC/AOS building (below) showed some of the green color of the aurora display (in spite of the high level of urban light pollution from the Madison area). 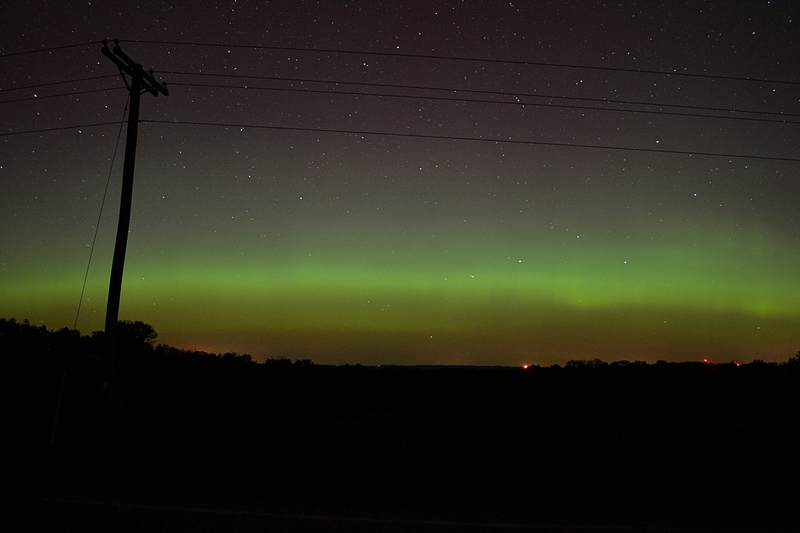 Brighter green colors were seen on images taken further away from Madison, in Verona and Dodgeville in southern Wisconsin.